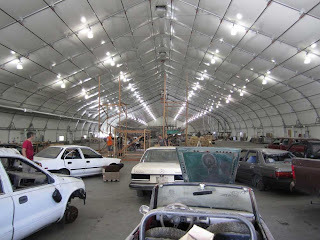 Empire Drive-In (2010) is a large-scale multimedia installation and platform built out of used and salvaged materials. In its simplest description it is a drive-in movie theater made out of wrecked cars. 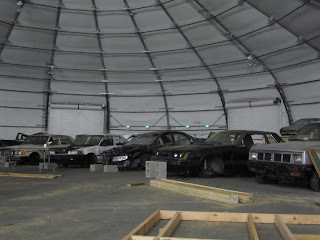 The 01SJ Future Films program will screen in the Drive-In and include short films, features, revivals, and live cinema events. 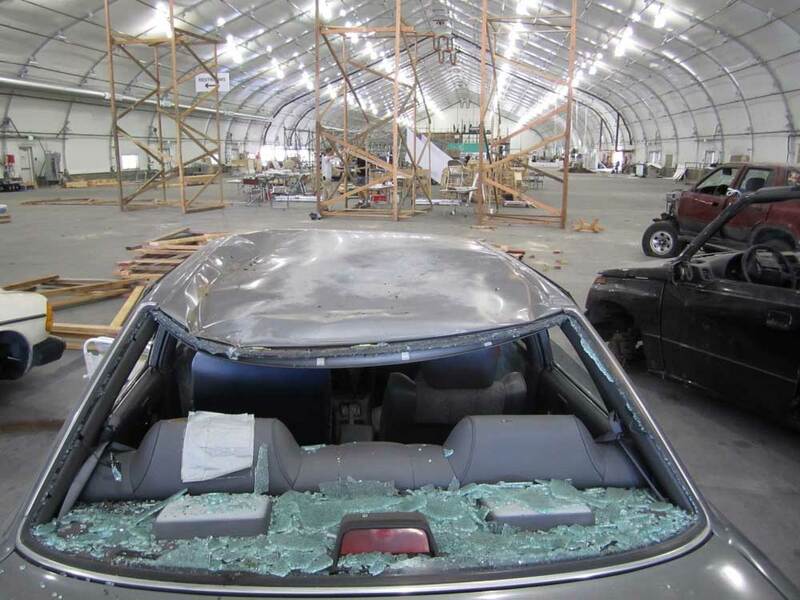 At the center of the project are 25 cars rescued from a San Jose auto wrecker. 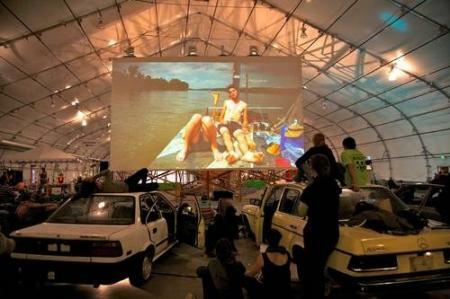 Audiences will be able to climb into cars to watch film programs throughout the festival. 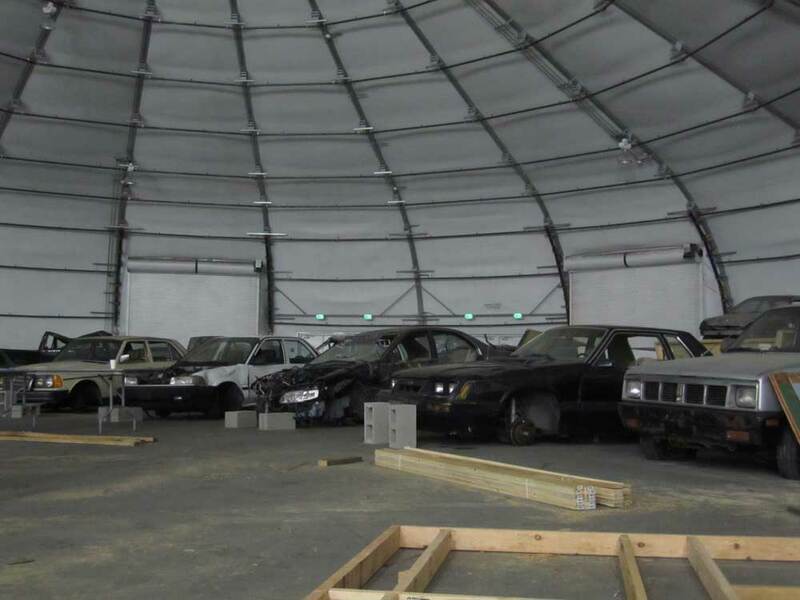 Low-power radio will beam stereo audio direct to each car, just like the real drive-in. Moviegoers will find snacks at the confection stand and amusement in the playground. The installation will be built indoors in San Jose’s massive South Hall. No sunsets, but no mosquitoes either. Here's a brief vid of the cars being brought in and positioned.